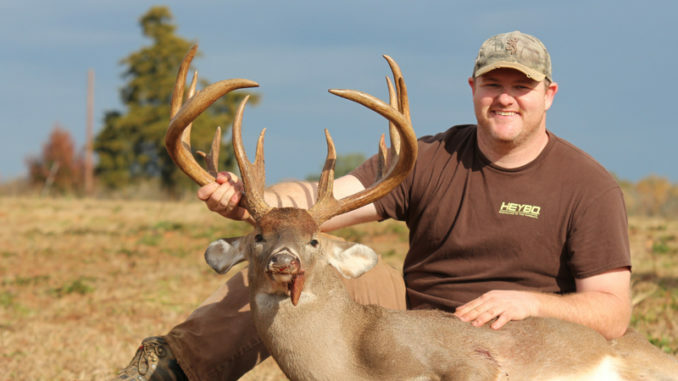 James Sims had a long history with this Fairfield County buck, which may become the new SC state record. 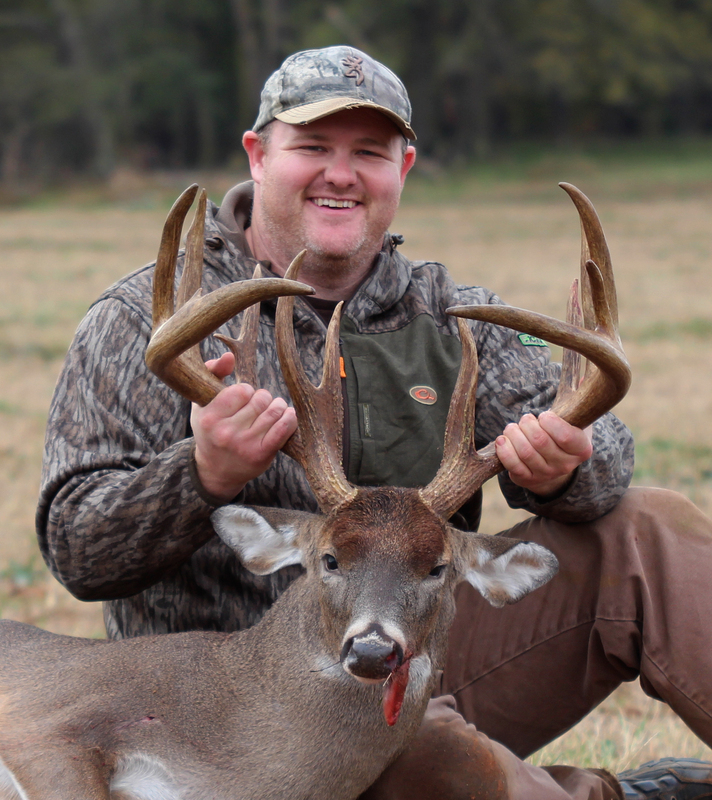 James Sims of Blythewood, S.C. killed a buck on Dec. 7 that may break South Carolina’s current typical buck state record. The Fairfield County 13-pointer has been green-scored at 188 inches. 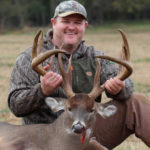 Sims had a long history with the buck, dating back more than four years, when he jumped the deer while scouting his hunting lease for the first time. After that one in-the-flesh encounter, Sims only saw photos of the buck — almost all of which were nighttime photos — until the 2017 season. By then, the buck was bigger and more impressive, but just as elusive. Despite hunting hard and taking considerable time off from work to hunt, he only had one daylight encounter with the buck that season, and he didn’t have a clear shot. Sims was thankful and humbled when he finally killed the elusive buck. Brimming with anticipation well ahead of the 2018 season, Sims set up his trail cameras in late July. Waldo appeared on camera two nights in a row, then disappeared. But those two appearances revealed how massive his rack had grown, plus he had added a split brow tine. Sims heard lots of shooting on adjacent properties and worried someone else might have shot Waldo. But the buck appeared again on Oct. 22, at 7:57 a.m., after Sims had left his stand early for work. And after that, the buck showed up only at night until Dec. 7, which wasn’t an ideal hunting day. Sims had endured a hard week at work, and rain was in the forecast. He considered staying in bed, but finally dragged himself out and headed to the deer stand where he kept himself awake by playing on Facebook and Instagram. Sims laid his phone down and put his hat and face mask on as the sky began to lighten up around 6:30 a.m. Pretty soon, he saw something that got his attention. “I could see the silhouette of a deer feeding, so I put the scope on it and kept watching. As it grew a little lighter, he turned and faced me, and I could see it was him,” Sims said. Then the buck turned sideways, giving him a clear shot and he squeezed the trigger. The buck fell instantly and Sims shot a second time to make sure it did not suffer or get up and run off. Then he climbed down from the stand and ran the 120 yards to where the deer lay. With a 19-inch inside spread the rack features a 28 1/8-inch right main beam and a 27 3/8-inch left main beam with a 5 ¼-inch circumference at the base for both. The shortest antler is the left G5 at 4 3/8 inches, but all the other antlers are over 6 ½ inches and the G3 and G4s are all over 8 inches. It definitely is the largest rack ever for Fairfield County, according to the records. If the overall green score of 188 inches holds up when it is officially scored it would become the No. 1 typical buck for South Carolina. The current record is 176 0/8, taken by William C. Wyatt in Pickens County in 1994.